If you choose to spend some of your well-deserved vacation days in Longboat Key you won’t be disappointed! A rather upscale area that is rich in both gorgeous beaches and chic amenities, Longboat Key is one of the quietest barrier islands on Florida’s Gulf coast. Located south of Anna Maria Island and just minutes away from Sarasota’s abundant attractions, the town of Longboat Key is an excellent place to visit or stay during your trip to the Sunshine State. It is easily accessible from Sarasota, Bradenton, and other nearby cities in Southwest Florida, but delightful accommodations are also plentiful. It’s easy to enjoy yourself in Longboat Key! 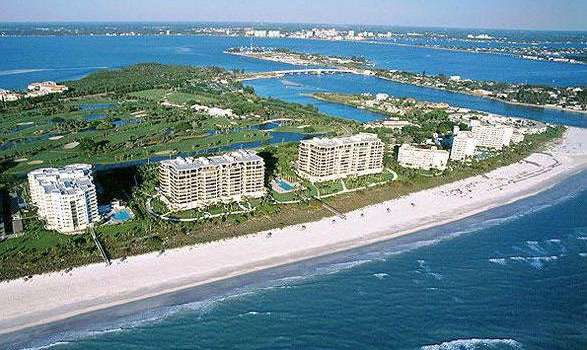 The beaches of Longboat Key, Florida are enjoyed by locals and tourists alike. 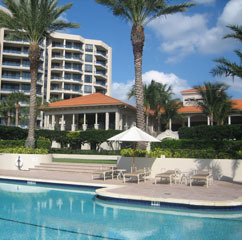 Snowbirds, retirees and young families love to take advantage of the serene white sandy beaches. Not only can you can swim in the gentle blue waters, work on your tan, or simply relax with a cold drink and a good book, many local businesses rent boats, jet skis, water skis, and more. Whatever mood your taste buds are in, you’re sure to find something that pleases your palette at the numerous restaurants which dot the town of Longboat Key. Popular choices include The Lazy Lobster for seafood, Bayou Tavern for pizza and Italian cuisine, Maison Blanche Restaurant for French fare, and Dry Dock Waterfront Grill for hamburgers and other American favorites. There’s no need to skip your workout routine during your vacation! Many hotels and vacation rentals offer private fitness centers, but plenty of people enjoy jogging or walking on the beach each morning. Now that’s a way to enjoy the sunrise! Longboat Key also offers two public tennis court locations, the Longboat Key Tennis Center and Bayfront Park and Recreation Center. Is golf your sport? 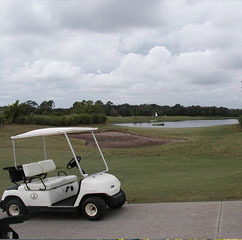 Longboat Key is a prime vacation location for golfers that want to take advantage of Sarasota’s 30 golf courses, four of which are listed in the Top 100 places to play in the state. If shopping is your cup of tea, you’re in luck. Longboat Key is sprinkled with upscale boutiques, galleries, and markets. Sarasota’s St. Armand’s Circle, which draws shoppers from all over the world thanks to its collection of luxurious clothing stores, jewelers and eateries, is just a short drive away. Bargain hunting? Ellenton’s Premium Outlets aren’t far at all. Have fun! Melissa Rhone, the author of the article “A 5-minute travel guide to Longboat Key, Florida” is a US travel blogger who has lived in Florida for over twenty years and enjoys travelling around the state and abroad.